Don Howe tackles George Best at Highbury. News of the passing of the former Arsenal player, coach, and manager, Don Howe, will have saddened many who have long supported the club and understand his importance to the history of the Arsenal. Yes, the Arsenal. for that is how Don always referred to the club. Born in Wolverhampton in 1935, Don signed for West Bromwich Albion on leaving school in 1950. He made his first team debut against Everton at the age of 20 and in the ensuing nine years he made 379 appearances for the Baggies, establishing a reputation as a quick, elegant right-back. In 1957 he earned the first of 23 international caps for England, and appeared at the 1958 World Cup in Sweden. Don remained first choice in the season that followed and scored what would prove to be his only competitive goal for the club at Stoke City in January 1966. Just five weeks later, in a goalless draw at Blackpool, Don’s leg was broken in an accidental collision with goalkeeper Tony Waiters. We didn’t know it at the time, but his playing career was effectively over. He made one appearance at Maine Road the following season, but could not fully recover. Don was appointed reserve team manager by the Gunners new boss, Bertie Mee, and promoted to first team coach when Dave Sexton left in 1968 to manage Chelsea. It was in this first stint as coach that he proved his value to the club. After two near misses in League Cup Finals the Arsenal won the European Fairs Cup in 1970, and became only the second team to land the double in the twentieth century the following season. After seventeen barren years Bertie and Don had restored the good times to the club. Sadly, for us, Don’s former club, West Brom, came in with an offer of the manager’s chair, and Don departed, taking physio George Wright with him. Frank McLintock led the chorus of players who urged Arsenal to hold on to the coach. It was years later that Don himself revealed that he would have stayed had Arsenal promised him the hot seat whenever Bertie decided to call it a day, but such an assurance was never given. Don wasn’t able to replicate his success at Arsenal and his new charges were relegated in 1973. Don finally departed a couple of years later, and following a brief spell as coach to Leeds under Jimmy Armfield he managed Galatasaray for a season. The prodigal son returned to Arsenal in 1977 as coach under the struggling Terry Neill. It was something of a masterstroke. The Gunners exciting young side reached three consecutive FA Cup Finals, beating Manchester United in sensational style in 1979, and The European Cup-Winners Cup Final in 1980. Don combined coaching the Arsenal with coaching the national team, first under Ron Greenwood, then Bobby Robson. When Terry Neill was sacked in 1983 Don was eventually promoted to the top job. It was a relatively unhappy couple of years that followed however. Shorn of Liam Brady and Frank Stapleton he didn’t have a great deal to work with, and after Terry Venables was reported to have been approached by the club Don resigned. Popular opinion would suggest that Don was a brilliant coach, but less suited to management, and the theory gained weight when he went on to coach upstarts Wimbledon under the management of another former Gunner, Bobby Gould, to the remarkable FA Cup triumph over Liverpool in 1988. In his defence, after a couple of years as manager at QPR Don took the hot seat as caretaker manager of the Coventry City side that gained promotion to the inaugural Premier League season. That he most certainly will. RIP Don. Mr Howe will be missed. Sang loud and proud many a Saturday on the North Bank back in my yoof. Condolances to family and friends. I was waiting for this H.
And as ever, it was worth waiting for. 30 years plus watching the Arsenal and my education at this bar continues..! A minute’s applause already being planned before the start of the Bournemouth game. Thanks for doing this Holic. Don Howe is one of the most important figures in the modern history of the club and deserves all the accolades coming his way tonight. I was at the game where he broke his leg. It was a rank awful game, there was an ongoing protest to get rid of Billy Wright and had he departed from the club on that note we would have been deprived of a man who would have a major impact on our history. Many of our old stars will be gutted by this news as he was revered by several generations of Arsenal players- and to think we wanted to replace him with Venables. Graceful tribute, Guv’nor, to an graceful player and a wonderful coach fondly remembered at Castle Ned. cheers, guv, that’s a lot of beauty in a few paragraphs. rest in peace, mr. howe. condolences to your family, friends, and all fans of the Arsenal. Don’t mind confessing to being rather shaken by the news. I wasn’t aware he was ill.
Daft old twonk I am. Didn’t know him although I did say hello a couple of times when getting his autograph under the old East Stand. All who did said he was a proper football man who loved Arsenal. Fitting and well written tribute H for a man who was a great servent of this club. Thank you. RIP Don Howe. Sad news indeed. Good piece, guv’nor. Lovely stuff, Holic – one of your best. Great tribute to an Arsenal great. Best coach we’ve ever had, in my humble…. Wonderful piece Boss. I don’t know how you do it but you always find the right words. Thankyou. I agree Cynic. The very best. Thanks again. Some good friends in tonight. It’s appreciated. As you know, I always read but don’t often comment. Had to add my best wishes for Don’s family tonight. A toast to the memory of a fine man who loved the Arsenal, served her well and did her proud. Who is the other Arse player in the photo – looks familiar but cannot put a name to him? That’s Billy (Flint) McCullough, Noosa. The club has lost one of its true stalwarts today. Great tribute ‘holic. His influence was all over the early teams that I followed from mid sixties to late seventies. I was chatting to Charlie George on the legends tour a few years ago. He hated Mee and adored Howe. RIP Don. From all on the North Bank at The Arsenal (as you would have said). Beautifully scripted tribute Holic – worthy of the great man. He loved Arsenal and was much loved in return. As good a coach as we have ever had…some accolade! RIP Don – thoughts are with your family at this time. That picture looks like the home game vs Man U in November 1964. Three Northern Ireland internationals on the pitch that day, two of them in the picture above. Thanks for that tribute H, brilliant stuff. Like you, I had no idea he was suffering from an illness. Always referring to the club as, “..THE Arsenal”, whenever interviewed. Having a stand up barnie with Brian Clough – reported to have said, ” Where’s your southern wankers now Cloughie?”, after we beat Forest at home in the league in 1979. I loved those games against Utd. from that era – always an electric atmosphere around the place, enhanced by the wait from usually arriving about 1.00pm to ensure an easy entry. Rosettes, hot dog and onions from boiling water in some dodgy barrow, jumpers for goalposts etc. Merry Xmas holic’s everywhere from a steamy Noosa (the place, not the man). Lovely piece sir. Wishing you a very happy Christmas. Thank you aj. You and yours too sir. Right, time to go explore the joys of the M5/M6 in foul conditions. Pantomime day today – Oh, yes it is ! Just read the linked Billy McCullough piece – another excellent article. Thanks for all your continuing efforts. Thank you Holic for a very fine piece. It’s been a very sad week losing Jimmy Hill and Don Howe who were important personalities of my youth. Merry Christmas Holics and good luck and safe trips to all those driving to Southampton. See the rest of you at the Ems on Monday. Wishing all of you and yours all the best over the festive period. Whatever your “holiday” is called, have a good one! Too young to have seen him play but have read so much of the man that i can understand his significance to the club. Rest in peace to a great man. The Arsenal as he used to say will miss him. Saints time on saturday and expecting the same team that played on monday. fatigue will be a massive factor during this time and i will be more than happy if we get 7 out of the 9 points available. 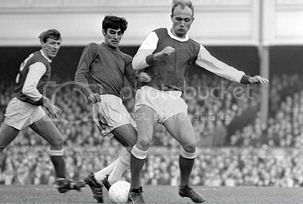 Thanks for penning a well written and well deserved tribute to Don Howe – unfortunately I didn’t see him play as his career ended just before I went to my first Arsenal game, but remember him as coach from those successes with Bertie Mee. He always was, and will be, linked with the Gunners and was a key part of Gunners’ history. RIP Don. The season’s greetings to ‘Holic and all ‘holics from Castle Ned. Keep the old festivals in the old manner. And as the late Dave Allen was won’t to say, may your God go with you. what’s that i see ? could that be oskar the red nose schnauzer ? # oskar the red nose schnauzer !!!!!!!!! goin straight de hell hillbillies ! A very Merry Xmas ‘Holic and ‘holics. You’re quite mad, cba. The best way to be, imo. Just coming up to 9.00pm here and about to eat Vietnamese duck. That’s a duck dish, not a duck from Vietnam. I can sense the blood in my alcohol stream getting very dilute. Time to shut up. The brim on that hat is far too wide… oh hang on, I’m confused again. Have a wonderful day today wherever you are and whatever the day means to you. May you all be blessed. An excellent read. I’m too young to really appreciate what Mr. Howe did for the club but it’s clear he was an incredibly important and well liked part of it.